A recent Bloomberg report shows Pakistani Software Engineers are earning six times the average salary as compared to other Pakistanis. "Pakistani software engineers earn almost six times more than the average worker in their country"
However one main factor which is ignored in this report that software engineer in Pakistan is a degree holder student. So logically speaking this comparison is not valid, you can't compare average salary of a Pakistani with salary of an IT graduate when literacy rate in Pakistan is 57%. Also this is very important that any person who can read and write is considered literate. So how many will be graduate in 57%? I can't find the exact figures but it can't be more then 20% from total of 57% percent literate people. Now you can't compare the salary of 11% with salary of 89% people. 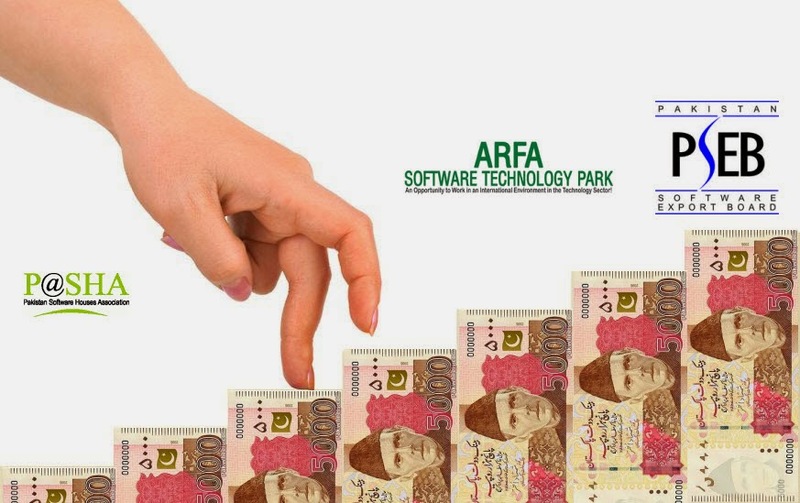 Is really a Pakistani Software Engineer earning highest salary? If you compare average salary of Software Engineers among these 50 countries Pakistan is on 46. With Switzerland, Norway and USA on top three. This is one of the major reasons Pakistani Software Engineers want to work in a foreign country. India is among the lowest of Software Engineer salaries.